Troels Brun Folmann, composer for Crystal Dynamics' first franchise-related title, Tomb Raider: Legend, has won a British Academy Award for the "Best Original Score" of the year in the "Games" category. Folmann's unique work convinced the judges over other video game music greats of the year, including Jeremy Soule's The Elder Scrolls IV: Oblivion & Daniel Pemberton's The Movies. As well as film and television awards, unusually the organisation has a dedicated sector focused on the appreciation of video games. Legend's soundtrack utilised modern technologies and compositional techniques, producing a score that ranges from epic symphonies to electronica based tracks but also amalgamates each constituent. Folmann composed approximately four hours of material for the game's cut-scenes and looping ambient/combat music, including multiple-layered and dynamically changing pieces. Unfortunately to date, the Tomb Raider: Legend soundtrack has yet to see a commercial release and publisher Eidos owns the licensing to the material. Update: Several tracks, however, were released under enclosure in the Tomb Raider: Anniversary Collector's Edition in 2007. Troels Folmann has a background as a commercial trailer composer and has completed work for games, commercials and feature films. He also boasts a Doctorate of Philosophy in video game music. Folmann has researched a variety of new compositional methods, which are present in Tomb Raider: Legend's score - the most famous of which is the invention of "Micro-scoring". Micro-scoring approaches game music from the player's perspective, adapting to the actions they perform, the situations they're in and the sights they see. Ultimately this results in a player-tailored soundtrack that totally complements the experience - this technique has become common practice in the scores of today's blockbuster video game titles. "The BAFTA award is an outstanding recognition of my works and marks the return the Tomb Raider franchise. I feel amazingly privileged for both the nomination and the award. 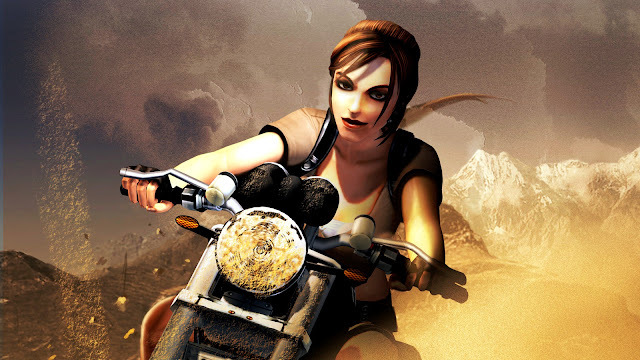 I never imagined that my work would be appreciated at such a distinguished level of competences..."
"The Tomb Raider Legend score was created on a 9 PC render farm, which allows me to recreate a full symphonic orchestra or anything else I envision. The score was created over eight months and the compositional styles ranged from epic symphonic to electronica, from Irish folk singers to Japanese Taiko drums. I explored all aspects of my compositional palette and the end-result is a highly diverse soundtrack oriented towards mass-consumer audiences." Congratulations Troels. Its definitely a well-deserved award for such an outstnading composer. Tomb Raider has some of the best music and soundtrack in videogame franchise.